Monday the 15th of September saw the ninth Skills Evening take place at the Village Hall in Danbury, and as with previous events, it was a busy one! 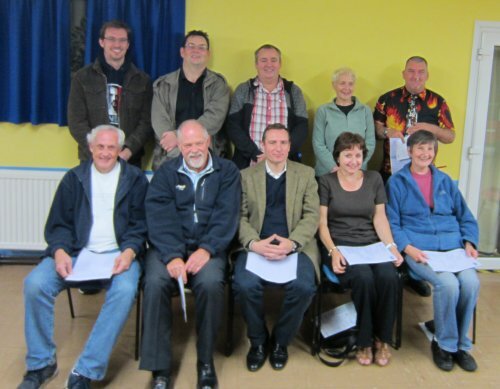 Almost 50 people with a keen interest in radio turned out for this month’s informal get-together, including four amateurs traveling from outside Essex, and five people with an interest in radio who’ve not yet got their licence. One of the main attractions for the evening was the Raspberry Pi, accompanied by Peter G0DZB. 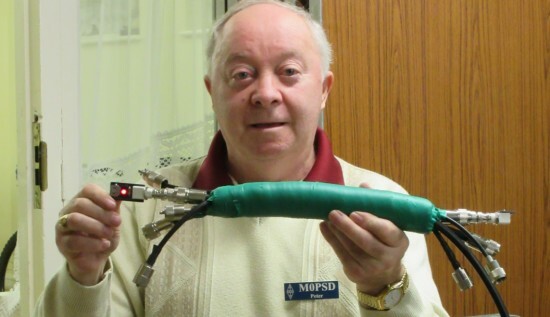 He was demonstrating the use of these tiny , low-price computers to show signal spectrum and bandwidth graphs using a recording of the lower half of 40m meters – showing QSB and variations in CW keying. In the Construction room, Peter M0PSD and Chris G0IPU were hard at work helping with some soldering practice, making up some patch leads, and a couple of minor repairs. Peter also gave a demonstration of a small kit that can be built cheaply and easily that allows you to test cables, to help with identification of the correct cable as well as to check for shorts. Visitors to the next Skills Night will have the option to make one of the cable tester kits for themselves. Aware that those new to the hobby may be looking for a little guidance, Jim 2E0RMI became the evening’s Agony Uncle, helping to chat to those about to get into the hobby, or looking for help with next steps – there was also some interest in Jim’s Echolink demo. 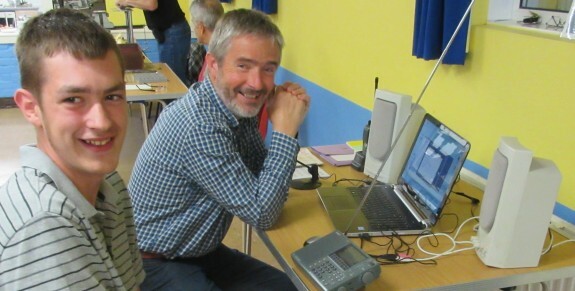 One very popular item on display was the Flex 1500 SDR, kindly demoed by Richard M0CLZ – Very difficult to hear the output with all the chat going on, but it looked great on screen, and was a definite crowd pleaser! 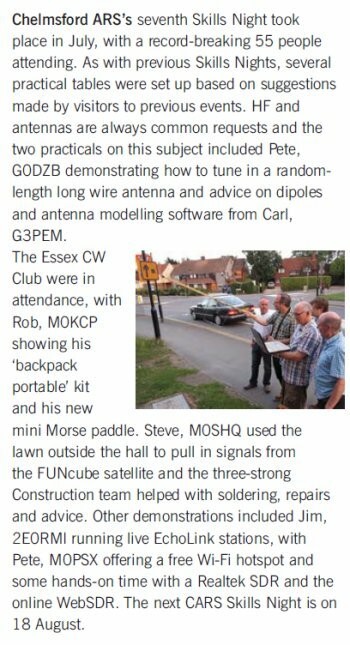 Thanks to Rob M0KCP for bringing along two rigs and running live demos of CW, in cooperation with the Essex CW Club. Also, thanks to Steve M0SHQ for bringing along his satellite antenna to help with queries about making contact from the orbit amateur radio kit. He also brought along his new, and tiny, Bluetooth APRS TNC. Back by public demand was Jim 2E0JTW, with his badge-making machine and a selection of new fonts and different sizes of badge. Impress your friends with a JTW callsign badge! The CARS Skills Quiz proved to be popular, with questions on split operation, polarisation, band plans, as well as the proposed Ofcom licence changes. 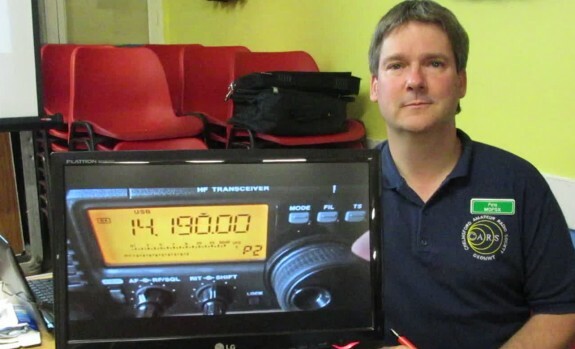 Free wi-fi was provided courtesy of Essex Ham, with Pete M0PSX showing a new ‘silent’ promotional video aimed at getting people into the hobby. Thanks very much to Myra M0MYR, David G3SVI and Sarah M6PSK for ‘logistic’ support, and also to Ann (Mrs 2E0RMI) for the excellent homemade cakes. As well as thanking all who helped out – a big thanks to you if you turned up to another popular evening and your ongoing support! We’re always on the lookout people to contribute to Skills Night, so please get in touch if you’d like to help. The next Skills Night is set for Monday the 20th of October. As always, suggestions for topics, demos and repeat performances are appreciated.